Should you feed peanuts to your pet bird? Find out why peanuts may be bad for your birds. Q: Is it bad to feed peanuts to birds? A: I turned to Donna Muscarella, Ph.D. at the Dept. of Microbiology and Immunology of Cornell University’s Veterinary Medical Center for help with this question. Her response provided a wealth of information, as did those of her colleagues, Dr. Noah Abou-Madi and Dr. James Morrisey. “Birds can develop liver cancer, and it is possible that eating poor quality food with low levels of mold contamination over long periods of time may contribute to this,” related Muscarella. “However, while peanuts are prone to aspergillus contamination, grains and cereals can also be contaminated. The USDA monitors grains produced in the U.S. for aflatoxin -producing molds, so perhaps the major problem is private storage. Hence, the lesson to be learned is that only high-quality, carefully stored products should be fed to our pets. “As for peanuts in particular, I am not opposed to feeding a few peanuts here and there as a snack, or some peanut butter on whole-grain bread. 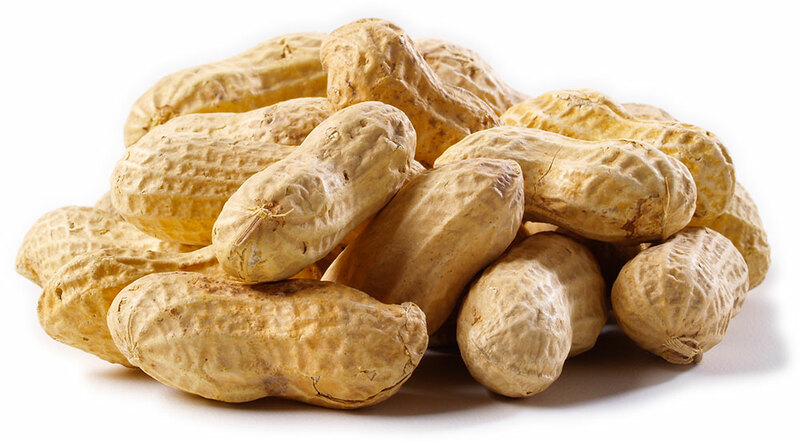 Peanuts are a good protein source, a good source of vitamin E and even some “healthy” types of fats. However, I prefer to use the highest-quality peanut products and only those intended for human consumption. Make sure your own storage conditions (particularly in warm, humid climates) are carefully maintained for all bird food. I asked Muscarella about the safety of roasted peanuts and peanut butter. “Does roasting destroy aflatoxin?” She believes that small amounts of roasted, “for human consumption” quality products are generally safe, but cautions that roasting does not destroy aflatoxin. “Commercial food producers test peanuts for aflatoxin levels to ensure that their products are safely below the USDA-permissible levels. “Organic peanut butter is free of added sugar, but there may be more variables in peanut sources and storage conditions in locally made peanut butter as compared to a big brand-name company. If you give your bird peanut butter as a treat, a well-known commercial brand might be a better choice because of the routine testing done by large companies. Don’t trust bulk peanut products that may have been stored under questionable conditions or for an unknown length of time. Look for an expiration date on the package.” Dr. Muscarella added that there’s no way her African grey parrot, Maxie will go without his little open-faced peanut butter sandwich … but it’s got to be his favorite brand of peanut butter on multi-grain bread, or it lands on the floor, peanut butter side down!